If You’re an Adult Who Has Trouble Reading, You Aren’t Weird! Almost weekly, I hear stories from people who know an adult—often a family member—who has trouble reading or cannot read at all. Sometimes the person who’s talking with me speaks in hushed tones, because the nonreader is him or herself. The hushed tone is a symptom of the fact that adults who can’t read feel embarrassed. They’ve been made to believe that not reading well means there’s something wrong with their intelligence. Often, that’s not true. In fact, people with trouble reading, sometimes called dyslexics, are frequently more intelligent than average. (I’ve read their numbers include successful people like Leonardo da Vinci, Tom Cruise, Cher, and even Charles Schwab! My father belonged among them and didn’t learn until late in life that he was seeing words backwards.) So why can’t they read? There are many possible answers. Some languages are based on pictures, not letters, or may be read vertically, not side to side. Dyslexia is different or nonexistent in those languages. Someone who is dyslexic in the United States might never have suffered that diagnosis if he or she (it happens more frequently to male brains) had been born to a less sequential language—perhaps in Asia. To read well, a person’s brain has to be able to connect the shapes being seen to sounds. A “b,” for example, needs to be attached to the “buh” sound by tiny connections in the brain. If the person didn’t hear well in childhood when she was learning to read (too many ear infections, perhaps, or too much background noise), her brain might have missed connecting certain sounds to the letters or letter combinations. Her trouble with reading is different from some. Maybe he’s having trouble putting the sounds together in the proper order or hearing them in order. A word like “please” might be confused with something like “easel.” The difficulty can come from the way in which that person’s brain is processing the information. The letters on the page may appear to move around or skip from one line to another as he tries to pronounce them. The problems that can make reading difficult or impossible at this stage are numerous and individualized. Some sufferers invent their own ways of working around the difficulties and do just fine. Some have no clue what the problem is and give up. Many reading teachers have no specific training to be able to help with trouble at this level. They’re trained to teach main ideas and themes and characters. Many teachers, professors, or schools believe the problem is hopeless or not worth the time and attention fixing it would require. Traditionally, such students were herded into special education classes in the early grades. Most had no hope of advanced training or post-secondary education, regardless of their intelligence. In the past, students were not taught any of the specifics of reading after fourth grade. After that, they were simply given reading assignments and asked to respond to them. The Teacher Who Couldn’t Read is the true story of John Corcoran who found ways to work around the system. He was a high school teacher with a college degree before he confessed he had never been able to read. After receiving intensive help, he did eventually learn to read and is currently recognized as a highly successful businessman. (For more information search John Corcoran Foundation.) His story reminds us that we sometimes push aside people who need to work differently, and the result can be our loss as well as theirs. In other articles, I hope to chat with you about other reading issues, but the ongoing message is reading problems are not hopeless. Even though the person with the issue may never read for pleasure, basic reading is open to most of us. Only a small minority lack the intellectual capacity. Some people who seem to lack the brain tools for reading can accomplish the same results if they have a chance to do the deed another way — perhaps by listening to a sound recording of the words. My father used to love to listen to my mother read novels to him in the evenings. 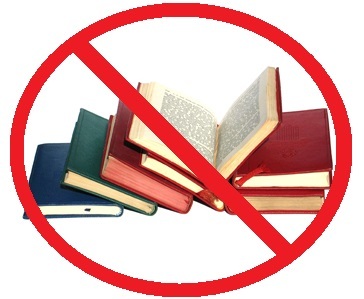 Finally, not reading should never mark someone as “less,” any more than being a poor athlete, mechanic, or poet does. In our differences lies our strength of creativity. This entry was posted on January 25, 2014 by Personal Journeys with Gramma in Dear Gramma and tagged Adult Readers, Brain Connections, Brain HQ, Challenges, Dear Gramma, Dyslexia, featured, Hope, John Corcoran, John Corcoran Foundation, Lindamood-Bell, Literacy, Posit Science, Reading.